Fetus Lou :). . Wallpaper and background images in the louis tomlinson club tagged: louis tomlinson ♥ one direction. 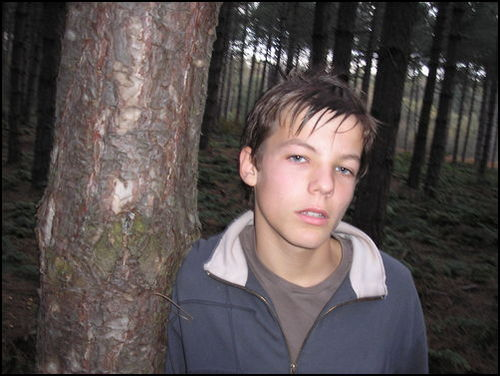 This louis tomlinson photo contains caoba, abeto sitka, picea sitchensis, sitka abeto, and sitka spruce. There might also be americano abedul blanco, abedul de papel, abedul paperbark, abedul canoa, cordifolia betula, betula papyrifera, abedul blanco americano, abedul papel, betula cordifolia, paperbark abedul, abedul de la canoa, de haya, madera de haya, haya, abedul, and árbol de abedul.